Cape Town – Cyril Ramaphosa will have to take down several barriers before he can truly implement changes to South Africa’s economy, according to analysts. On Sunday, in his capacity as leader of the ANC, Deputy President Cyril Ramaphosa delivered an address at Nelson Mandela’s centenary celebrations, where he spoke of 2018 being the year to effect transformation. Among the issues to be addressed in 2018 are land reform and governance at state-owned enterprises. Ramaphosa also said the ANC’s national executive committee will be finalising the transition of SA’s presidency on Monday. Professor Jannie Rossouw, head of the school of economic and business science at Wits University, believes that Zuma will “take a chance” with a vote of no confidence in Parliament. “Zuma is not the type of person who will worry about damage done to the party. [Thabo] Mbeki worried about that. My reading is, Zuma could not care,” said Rossouw. Rossouw highlighted that if Ramaphosa were to become president, he has to work on addressing governance at SOEs by appointing competent boards and rooting out corruption, as well as instilling investor confidence, as he did at the World Economic Forum in Davos. Further to attracting investment, Ramaphosa will have to remove obstacles such as policy uncertainty, for example the Mining Charter, said Rossouw. 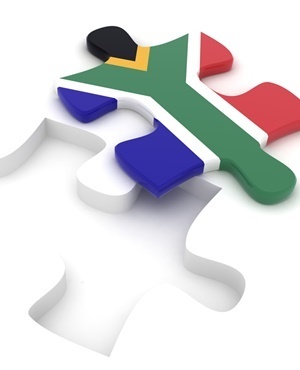 Economist Thabi Leoka told Fin24 that even though ratings agencies like Moody’s which have placed South Africa on a review for a downgrade, they are keeping watch for policy certainty. “They want policy certainty right now, we don’t even know what our policy is as South Africans. We are just in limbo currently,” she said. Leoka is of the view that Ramaphosa should tackle poverty first by uplifting the lives of the poor. This would probably involve making transport cheaper or free for the poor, who spend most of their income on transport. Government could also prioritise providing quality education to those in poor areas. Another task is to ensure South Africa does not breach the spending limit, in addition to shrinking the budget deficit to make sure the shortfall in revenue is much smaller. “These will be tough decisions for him to make because they won’t be popular,” Leoka explained. Leoka added that only removing Zuma is not the answer, ministers who have not performed must also be removed. “[Ramaphosa] needs to ‘drain the swamp’ to remove people who are corrupt and not doing their jobs.” Leoka referred to Life Esedimeni and the issues with social grants payments saga. “It is those ministers who are in charge of those departments, who did not do what they were supposed to do,” she said. Investec Chief Economist Annabel Bishop explained that “repairing” business confidence will be important to drive faster economic growth. Improved investor sentiment, will lead to improved fixed investment. Better economic growth will drive further investment and employment. “At least 25% of GDP needs to be constantly reinvested in the economy via fixed investment, particularly from government and utilities, not just the private sector,” she said.